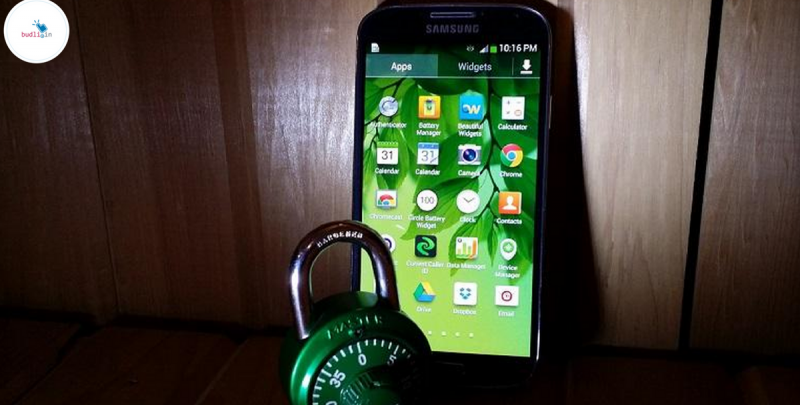 Are Our Smartphones Really Smart and Secure? Is your smartphone secure? Do you think your smartphone is really secure to perform financial transactions on your device and share your personal information with your loved ones via your mobile phone? Most of the online activities that you perform are unsafe and are often trackable. This is bad when it is the matter of personal privacy and information security as well. Though most of the leading mobile manufacturing companies do their best to bring in the latest OS and security updates to your devices, some of the things should be handled by the users itself. In this post, I will show you a few best practices for smartphone security. This is the most basic form of security that you can provide to your device. So make sure you have your screen lock ON. YOu can use any complex pattern lock or a simple number pin lock. But make sure you use a password which does not relate to you. Like, do not set your passwords to be your birthdays or your mobile number, etc. If done so, it makes it easy for the person trying to unlock the device. When you browse the internet via your mobile phone then the browser actually tracks everything that you do online and sends it to the parent company. This is common in every browser. That data is used to provide personalized ads so as to increase the companies revenue. This can be stopped. You will find an option in the settings section of your browser to turn ON the ‘Do Not Track’ request. Once enabled, the websites and browser will not track your activities(in most cases). Spam calls are the most common way to identify you. Teleservices companies and other related companies find people’s numbers from multiple sources and tend to call them to first confirm the identity of the person. If you pick up the call and say that it is you, then you should be expecting more and more spam calls in the future. So make good use of apps like TrueCaller to know who is calling and reject the call if mentioned as spam. Sometimes the information a person wants stays in the phones memory and that can be accessed by gaining access to it physically even for a few minutes. So make sure you have your device with you and never let it off your sight. If you are someone who is thinking of buying a new smartphone in which you are looking for flagship features and a mid-range mobile pricing, then you need to check out our online refurbished marketplace at budli.in. Refurbished products are the solution to your needs and if you want to own one then we will help you find the best device for you.